For those who live with disabilities every day, the Canadian Disability Tax Credit is something to consider. Available to disabled persons as well as supporting family members and full time caregivers, it can be very helpful in offsetting the often-prohibitive costs of daily care. Rather than a regular monthly payment, such as would be received through OSDB or the Canada Pension Plan, this credit is applied against income tax, and when first approved for can be received as a lump sum payment that covers up to ten years retroactively. The credit amounts to approximately $1165 per year, with an additional supplement of $680 for those under the age of eighteen. It differs from other provincial and federal tax credits commonly filed with a return in that it must be applied for prior to filing, and cannot be claimed until it has been approved by the CRA. Statistically, almost ninety percent of eligible applications are approved, and most candidates will receive their decision within eight weeks. Offered to those whose disabilities are expected to last or has lasted twelve months or more, the Disability Tax Credit applies to those with physical and/or mental disabilities that have resulted in a marked and severe loss of the ability to perform normal, daily functions such as walking and talking, or for those with severe visual or hearing impairment. In short any condition that gets in the way of performing simple daily tasks such as dressing or feeding oneself, taking medications or using the toilet may qualify. The degree of impairment is considered as well, and is defined as either markedly restricted or significantly restricted. 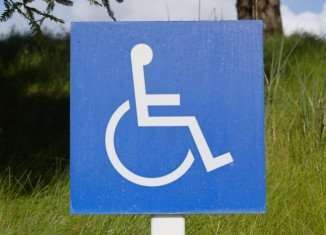 In the case of ‘marked’ restriction, it is assumed that an inordinate amount of time is required to perform basic daily living activities at least ninety percent of the time, or that the disabled person cannot perform these tasks on their own. ‘Significant’ restriction implies that the applicant may not quite meet the definition of ‘marked restriction’ but is still substantially restricted most of the time. The application form contains a self-assessment quiz that can help determine which category the applicant falls into, and should be completed by anyone who is considering applying for benefits under this program. But one thing you should keep in mind, even if you feel that you might not qualify, you should consider approaching one of the companies from the Association of Canadian Disability Benefit Professionals, National Benefit Authority the Company I founded, is the original founding member of this Association. The application is in two parts, and it is necessary for a qualified physician to complete and sign the medical portion. Though the process may seem daunting, it is well worth the effort for those suffering with long-term issues. In fact, it is a requirement for certain other disability benefits, including the RDSP (registered disability savings plans), Canada Disability Savings Grants and Disability Bonds. Those who receive ODSP or disability payments through the Canada Pension Plan, Quebec Pension Plan or WSIB (workman’s compensation) are not necessarily entitled to receive a Disability Tax Credit, as these programs all have differing criteria, such as the individuals ability or inability to work. The application is available as a printable PDF download or a form-fillable PDF which can be completed on line, and is also available in braille, large print and even MP3 audio for the visually impaired. Access the Disability Tax Credit application anytime by visiting the CRA website. Consider Applying yourself, but if you feel the need to have a helping hand of a professional you are always welcome to use our free consultation service by National Benefit Authority.